The Barcelona Macula Foundation: Research for Vision is one of nine research entities and centres that make up the 2016 programme, B·Debate. This is an initiative of Biocat and Obra Social “la Caixa” to promote high-level international scientific meetings in Barcelona. 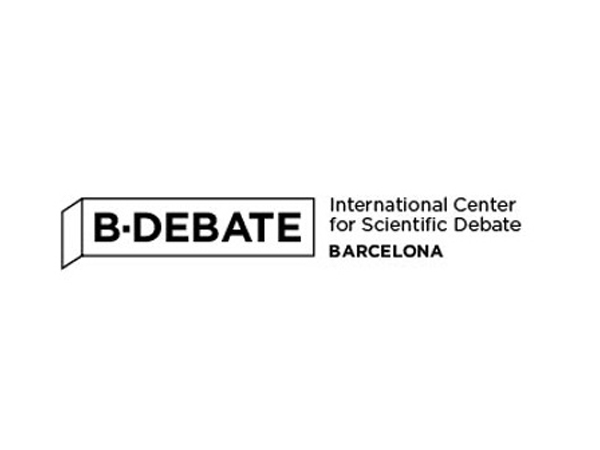 The topics to be debated in this edition of B·Debate include the challenges in the fight against blindness, epigenetics and cancer, the diagnosis and treatment of rare diseases, the impact of childhood experiences on adult mental health and the possibilities of artificial intelligence equalling or even surpassing human intelligence. Blindness is one of the main topics for debate in this new edition of the programme. Various international experts will share their experiences and discuss new cutting-edge therapeutic approaches to fight against the degenerative eye diseases that cause blindness and are incurable at present. The Barcelona Macula Foundation will organise a debate for 6-7 September with the collaboration of Leitat and the Centre for Genomic Regulation (CRG). The title is “The Fight Against Blindness: Goals For 2020. Cellular And Gene Regenerative Therapy, Bioengineering And Nanomaterials For Visual Restoration”. Through this, the Barcelona Macula Foundation aims to exchange ideas and interact with other scientific fields to explore and discover possible new therapeutic approaches for retinal dystrophies, such as nanotechnology, regenerative medicine, stem cells, gene therapy, genomics, bioengineering, optogenetics and photonic sciences. The Foundation also hopes to make an impact internationally and promote Catalonia as a key international actor through the creation of a strategic network to promote new research and mutual learning initiatives, exchange of knowledge and transfer through different fields and countries. The B·Debate 2016 programme includes a total of nine activities to be carried out in collaboration with various research entities and centres in Catalonia. These are the Institute of Neurosciences of the Autonomous University of Barcelona, the Institute of Biomedical Research (IRB), the Barcelona Science Park (PCB), Sant Joan de Déu Hospital, the Catalan Institute of Oncology (ICO), the Vall d’Hebron Institute of Oncology (VHIO), the Agrigenomic Research Centre (CRAG), the Autonomous University of Barcelona, the Institute of Evolutive Biology (CSIC-UPF) and the Barcelona Macula Foundation: Research for Vision. The various B·Debate events are expected to attract 200 national and international expert speakers from different fields of scientific knowledge together with over 1000 attendees. Since it began in 2009, B·Debate has organised more than 50 activities in collaboration with over 200 research centres. Find more information on the B·Debate 2016 programme using the following link.